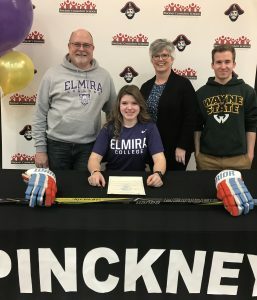 Pinckney Senior, Jenny Heath, has committed to play NCAA Division III college hockey At Elmira College, in upstate New York. Jenny is currently a Senior at Pinckney High School. She currently plays hockey for Little Caeser’s U19 AAA team where she specializes in defense and serves as Assistant Captain for the team . 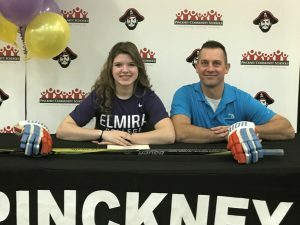 Jenny is a strong physical player who earned a Varsity letter playing boys’ varsity hockey for the Pirates during her freshman and sophomore years. She was later selected to attend USA Hockey’s National Player Development Camp in St. Cloud, Minnesota in 2015 and 2016 while also participating in the USA Hockey National Tournment over the past two seasons resepectfully. 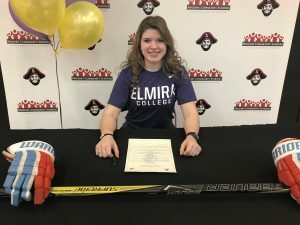 Jenny chose Elmira College for the competitive hockey and as one of the few programs that support hockey players going into the field of nursing. Jenny is excited about joining the Soaring Eagles in the fall of 2018. 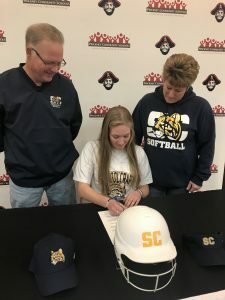 Ashley Wilson officially committed to continue her athletic and academic careers at Schoolcraft College after graduation this spring. She is planning on studying business and then majoring in interior design and construction management. 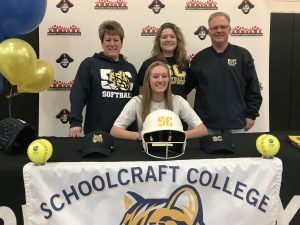 After battling injuries, Ashley was finally healthy and was able to compete this past fall with her future Schoolcraft teammates in a developmental league. She instantly connected with these girls and her love for the game was reignited. She is looking forward to bringing this spirit to the mound this spring for the Pirates by challenging batters with her pitches. 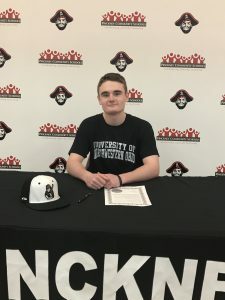 Drew Cortez officially signed with the University of Northwestern Ohio where he will play baseball and study Robotic Engineering. 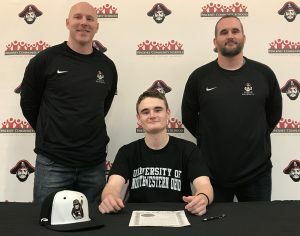 Drew is a 3 year member of the Varsity Baseball team and carries a 3.93 GPA. 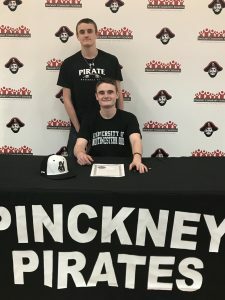 He is looking forward to his Senior baseball season and competing in a new conference, where he plans to lead his team to a SEC championship and compete in the district playoffs.